Old MacDonald had a farm... with lots of familiar animals and some people too! Your choice of dogs... plus all the other animals-cow, horse, sheep, goat, cat, pig and poultry to cluck, oink, moo, baa, and woof to your heart's content! 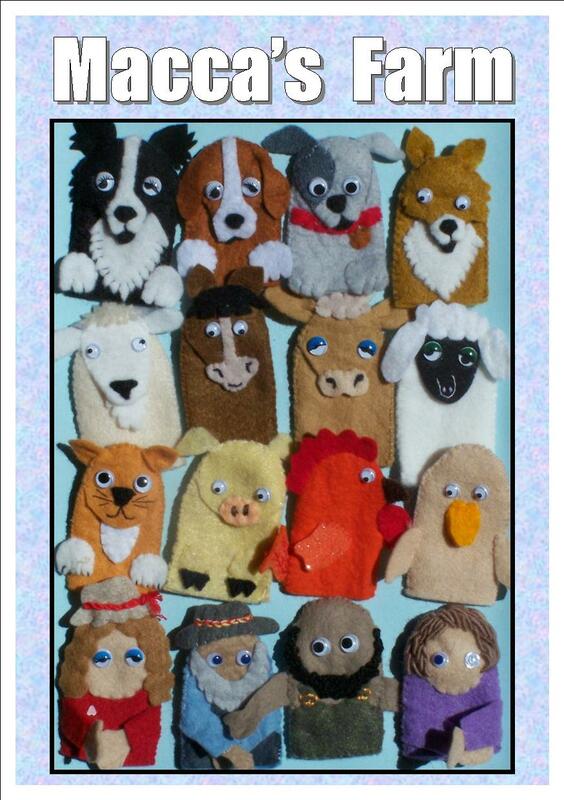 They are all quickly made from felt, using one basic ‘body' pattern, and purchased ‘googly' eyes. Because so many children's stories include a hen who plants corn; sees a fox in the bushes; goes for a walk across the farm; or fears the sky falling in, I have included the pattern for a hand-puppet hen. With her moveable feathered wings and nodding head, she is VERY realistic-children love her!